To recognize the 125th anniversary of nurse anesthetist education and the role of nurse anesthetist at Mayo Clinic, Sharing Mayo Clinic will include a series of vignettes highlighting influential Mayo Clinic nurse anesthetists. Those featured received their education at Mayo Clinic and went on to be instrumental in providing anesthesia education and make significant contributions to anesthesia practice. Florence Henderson (1874-1956) served as nurse anesthetist for Charles H. Mayo, M.D. She graduated from Bishop Clarkson Hospital Training School for Nurses, Omaha, Nebraska, in 1900. 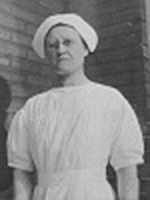 As superintendent of nurses at Bishop Clarkson, she learned and taught to administer ether and chloroform anesthetics. Hired by the Mayo brothers in 1904, Henderson moved to Rochester, Minnesota, and worked with Alice Magaw, known as the “Mother of Anesthesia.” Under Magaw’s expert mentorship, Henderson became an ether specialist. At the Nurse Alumnae Convention in 1909, Henderson spoke about the importance of nurse specialists in delivering anesthetics and also debated the use of ether versus nitrous oxide anesthesia with Agatha Hodgins, future founder of the National Association of Nurse Anesthetists (a forerunner of the current American Association of Nurse Anesthetists), who was a nitrous oxide specialist. In 1913, Henderson wrote and presented her paper "Ether Anesthesia" before the Southern Minnesota Medical Association. She was one of 16 speakers and the only nurse among the speakers. Henderson described her refined technique of open-drop ether and defended its use and qualities. Her paper was later published in the St. Paul Medical Journal. Henderson considered the use of ether alone or combined with local anesthesia to be the safest method within her practice. Her teamwork with Dr. Charles H. Mayo over 10 years required a very dependable anesthetic for his predominant specialty of thyroid and goiter operations. Henderson stressed the importance of vigilance, frequency of practice, and the use of suggestion to gain the confidence of the patient and smooth the excitement phase of the ether induction. 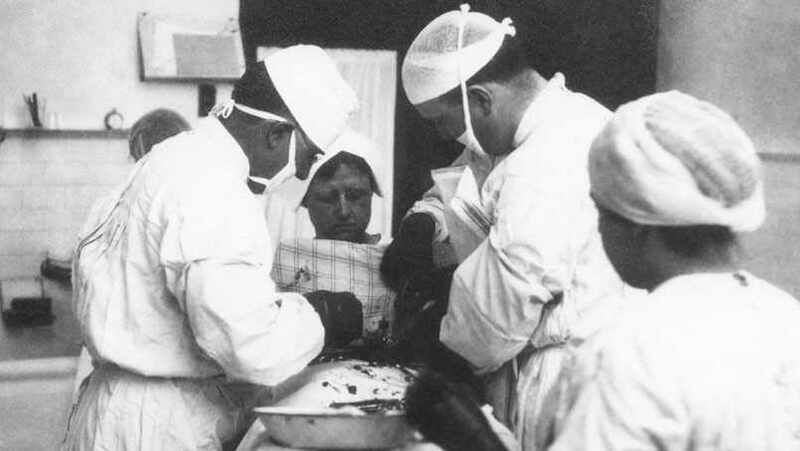 During Henderson’s career at the Mayo Clinic she gave more than 13,000 anesthetics, and as chief nurse anesthetist, taught many nurse anesthetists her open-drop ether technique. Following her retirement, she was a key witness in the 1930s trial of Dagmar Nelson vs. Chalmers–Francis, which established the giving of anesthetics as a nursing specialty. For further information: AANA archives, CRNA profiles. Joan Hunziker Dean is a certified registered nurse anesthetist at Mayo Clinic. Learn more about Nurse Anesthesia Education at Mayo.